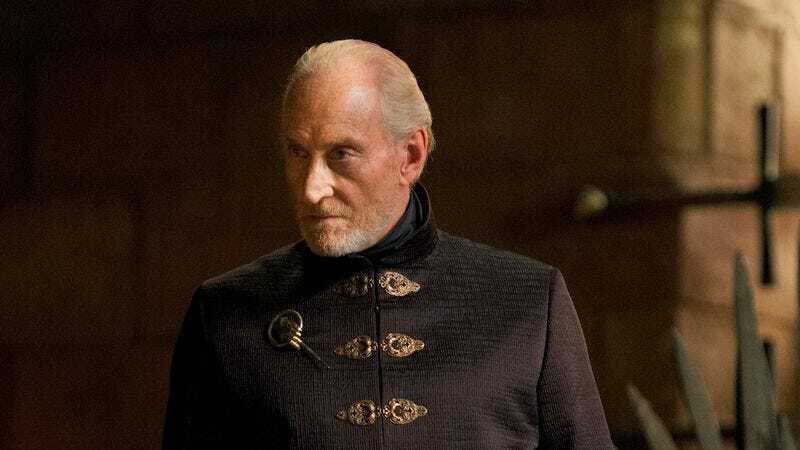 According to Deadline, Charles Dance has joined the cast of Godzilla: King Of The Monsters, director Michael Dougherty’s follow-up to Gareth Edwards’ 2014 Godzilla reboot. We don’t know anything about Dance’s role, but given his experience on HBO’s Game Of Thrones and this film’s monarchial title, we can assume he’s going to be a cold-hearted master of manipulation with an unending list of schemes all designed to keep him in power. Who knows, maybe he’ll really jump off from his Game Of Thrones role and play Godzilla’s disapproving father or something. Dance would be very good at playing a monster who constantly criticizes Godzilla for not destroying things properly. Deadline also says that Sally Hawkins will be returning for King Of The Monsters, reprising her role from Edwards’ film as Dr. Vivienne Graham, and she and Dance will be joining Millie Bobby Brown, Vera Farmiga, and Kyle Chandler. The movie will also connect to Kong: Skull Island in some way, setting up a future Godzilla Vs. Kong movie.